Volunteer attorneys are asked to prepare citizenship applications for clients, and it is highly recommended, but not required, that the attorney attends the client's citizenship interview one year later. No previous experience is required! 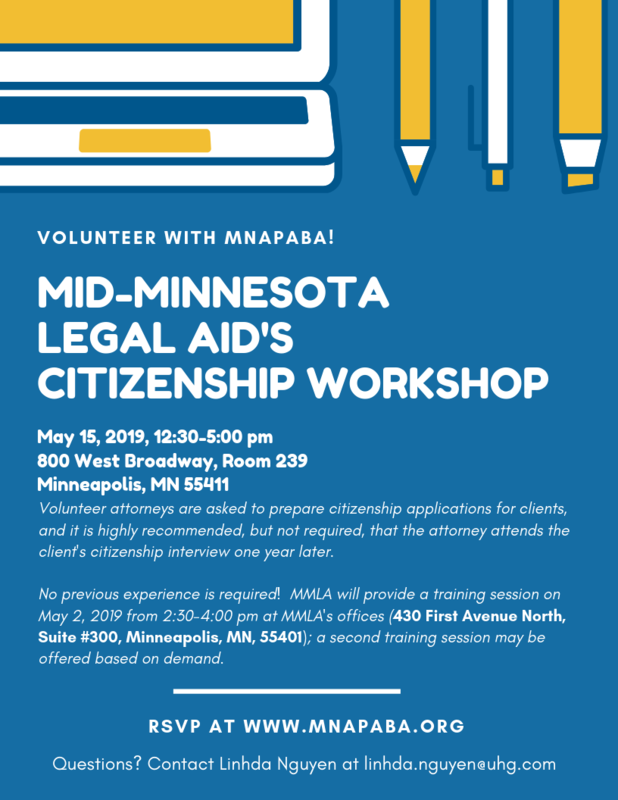 MMLA will provide a training session on May 2, 2019 from 2:30-4:00 pm at MMLA's offices (430 First Avenue North, Suite #300, Minneapolis, MN, 55401); a second training session may be offered based on demand.